The Fisheries Statistic Division of NOAA Fisheries’ Southeast Fisheries Science Center has issued data regarding shrimp landings in the Gulf of Mexico for May 2018. 16.2 million pounds of shrimp was landed in the Gulf of Mexico last month, the highest volume reported for the month since 2009. 3.6 million pounds of shrimp was landed in Texas, with another 1.5 million pounds of shrimp landed in Alabama. 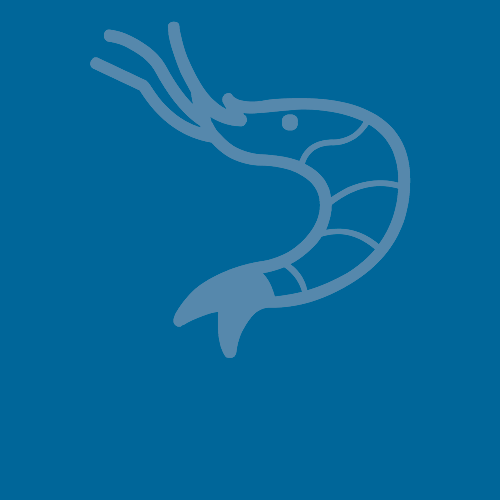 Both represent the highest amounts of shrimp landed in these states for the month of May since the Southern Shrimp Alliance began tracking this data in 2002. 10.4 million pounds of shrimp was landed in Louisiana last month, up from 7.9 million pounds in May of 2017 and 6.1 million pounds in May of 2016. In fact, landings in Louisiana last month were the highest for any May since 2013. 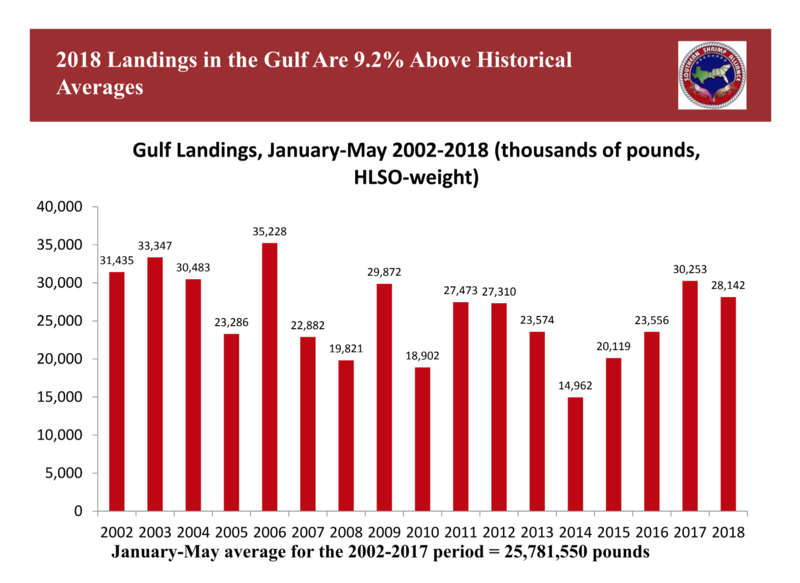 Over the first five months of this year, 12.9 million pounds of shrimp have been landed in Louisiana compared to 12.8 million pounds over the same time period last year. Throughout the Gulf of Mexico, 28.1 million pounds of shrimp have been landed, an amount that is 9.2 percent above the prior sixteen-year historical average of 25.8 million pounds. For the ninth straight month, no ex-vessel prices were reported by NOAA for the eastern Gulf (the west coast of Florida). Ex-vessel prices reported for the northern (Alabama, Louisiana, and Mississippi) and western (Texas) Gulf for all but U15 count shrimp were significantly lower than those reported in May of last year.